It has definitely been a while since I have hit “publish”. To my blogging friends, I say “hello again”. To those that are “new followers”, I say “welcome”. The blog has definitely been on the “back-burner” for the last 7 months and I have not given it the attention that I set out with a few years back. Anyways, last weekend I decided to make Christmas fruit cake for the second year, but this Christmas I wanted to make some smaller cakes as gifts for family and friends who enjoy this yuletide treat. So I tripled the recipe in the link below and adjusted the bake time for the smaller cakes. If you like Christmas cake, I urge you to give this one a try. It’s really easy and tastes just like those childhood memories. 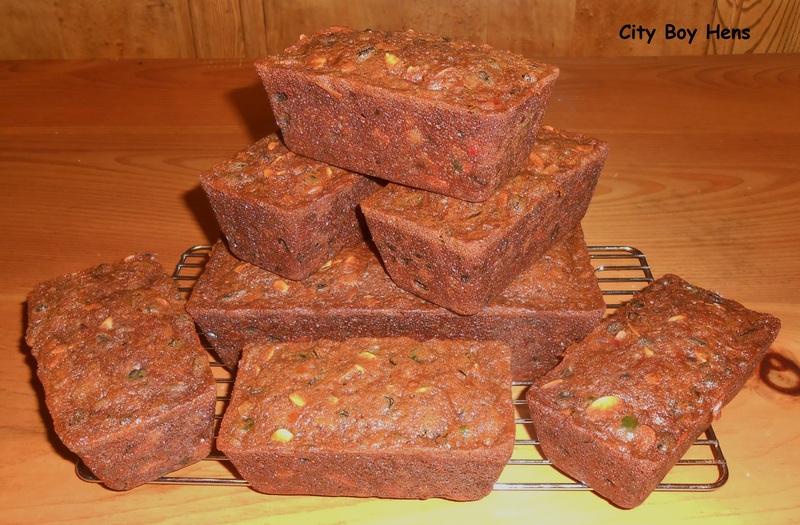 Yum, fruitcake! Welcome back to the blog world! I missed you! Merry Christmas! Welcome back, CB. We missed ya!